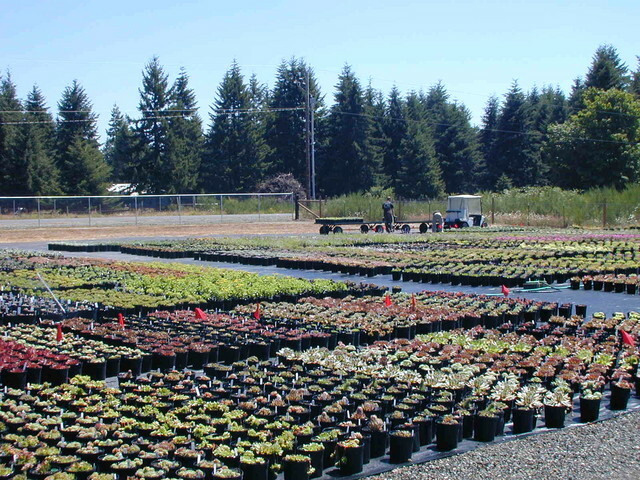 Here are thousands of newly planted Sempervivums, Sedums and perennials in 1 gallon (6" diameter pots). In the background you can see 2 helpers 'setting down'. We use groundcloth that lets water pass through. There are lines woven in to the cloth that aid in setting down straight rows.